Radio - NSF, VLA, M.Hardcastle (U Hertfordshire) et al. ; Optical - ESO, M.Rejkuba (ESO-Garching) et al. Explanation: A mere 11 million light-years away, Centaurus A is a giant elliptical galaxy - the closest active galaxy to Earth. This remarkable composite view of the galaxy combines image data from the x-ray ( Chandra), optical(ESO), and radio(VLA) regimes. Centaurus A's central region is a jumble of gas, dust, and stars in optical light, but both radio and x-ray telescopes trace a remarkable jet of high-energy particles streaming from the galaxy's core. The cosmic particle accelerator's power source is a black hole with about 10 million times the mass of the Sun coincident with the x-ray bright spot at the galaxy's center. 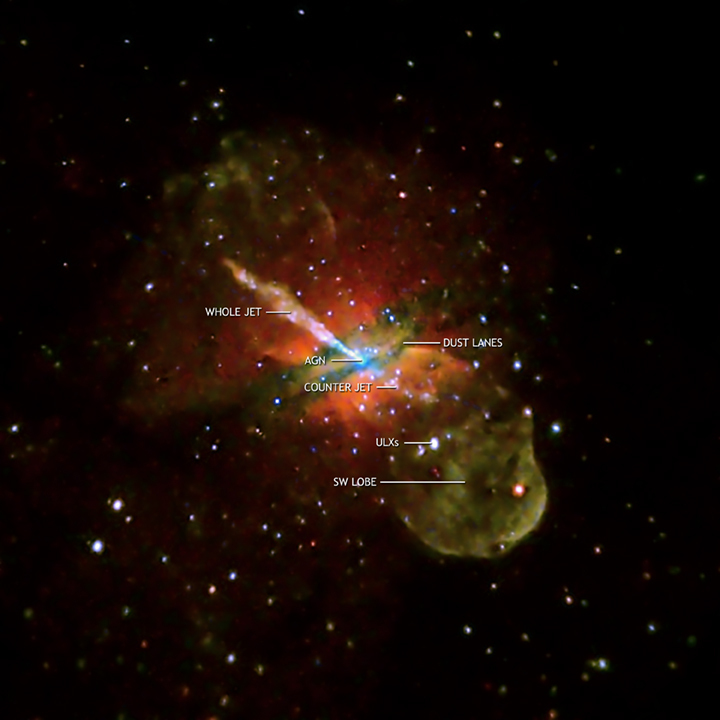 Blasting out from the active galactic nucleus toward the upper left, the energetic jet extends about 13,000 light-years. A shorter jet extends from the nucleus in the opposite direction. Other x-ray bright spots in the field are binary star systems with neutron stars or stellar mass black holes. 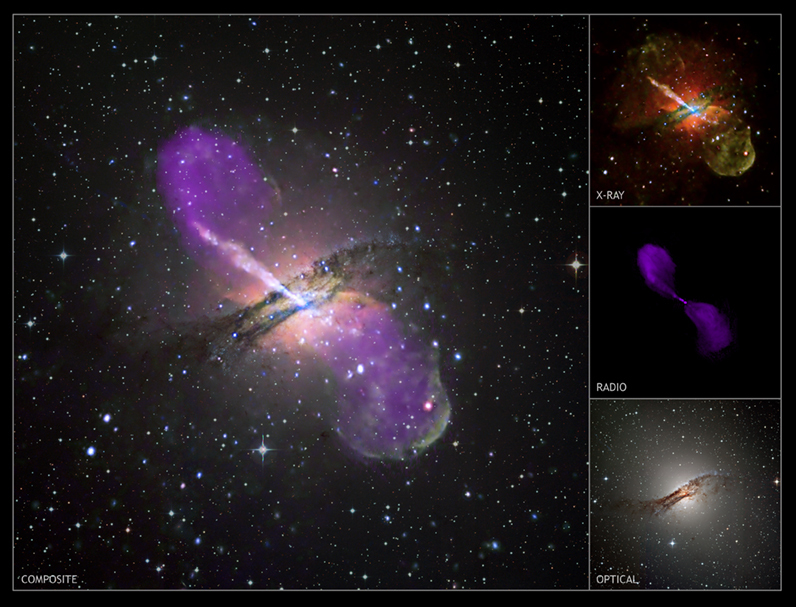 Active galaxy Centaurus A is likely the result of a merger with a spiral galaxy some 100 million years ago.